MBARARA – More than 3,000 people on Saturday received treatment for various ailments during a medical camp organised by the Archdiocese of Mbarara Development Association (AMDA), a group of Christians hailing from Ankole but living and working in Kampala and the surrounding areas. The Medical Camp was conducted at Rushanje Parish in Rwampara, Mbarara district and 24 people were able to gain their sight after successful eye cataract surgeries, one of the key services at the Medical Camp. Dr Grace Ssali, an ophthalmologist from Mulago hospital operated cataracts. 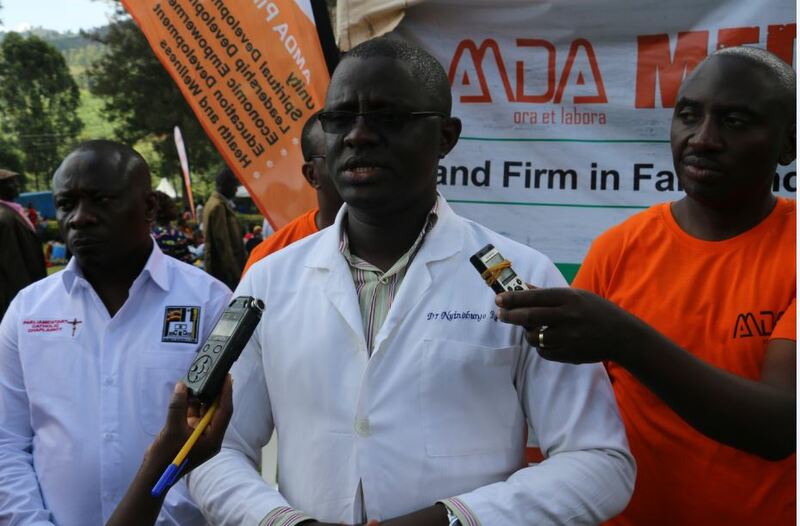 According to Dr Rodrigo Nyinoburyo, the Medical Camp Commandant and head of the AMDA Medical Council, a total 3,033 were served, with 328 treated for optical conditions, 24 of whom got cataract eye surgeries. Dr. Rodrigo said 327 patients received dental services, specially provided for by the UPDF and the Uganda Police doctors. The Uganda Cancer Institute (UCU), provided cancer screening services using the new mammography van and screened for the cervix, prostate and breast cancers, where 176 people were screened. By the end of the exercise, 6 positive cases were identified. Dr. Noleb Mugisha from the UCU said the positive cases were all referred to the Regional Cancer Centre at Mbarara for management. Other conditions screened during the Medical Camp included 188 gynaecological conditions, 545 were given laboratory tests like for malaria, HIV, syphilis, pregnancy, 546, while 2,135 people were treated for general medical conditions like infections and general body pains. “All the 3000 people received health education on HIV, TB, non-communicable diseases like hypertension, diabetes, self-breast exam for breast cancer,” Dr. Rodrigo said adding that patients who were treated and needed further treatment or review had been reffered to Bugamba Health Centre IV which was a major Partner in the Medical Camp. “Specialized services like Dental, optic, gynaecology services and cancer screening were most sought after,” Dr. Rodrigo said. Biomedics Products Ltd provided assortments of different medical supplies, Mulago Hospital conducted the cataract eye surgeries while Mbarara University provided clinical services. The Mbarara district Health department and Bugamba HCIV in Rwampara coordinated with AMDA as a major partner for the camp. AMDA Chaplain Fr. Dr. Darius Magunda said the Medical Camp, a component of the AMDA Caravan, an annual event, was part of the community’s effort to put faith to action, by giving back to the community. He said the AMDA annual medical camp supplements government’s efforts to give good health services to the population but also help identify areas where the government needs to put more emphasis, especially on preventing diseases like cancer and other non-communicable diseases. “We realised that our population still has a challenge of low incomes and once a person is diagnosed with a condition like cancer, they may not be able to afford the treatment. So the government needs to put emphasis in making sure that such cases receive cheaper or free treatment and more so, more efforts on prevention because as they say, prevention is better than cure,” Fr. Magunda told a press briefing during the Medical Camp. Rushanje Parish Priest Fr. Hillary Katusiime said the Medical Camp had come in handy especially for people who needed services like cancer screening, dental and optical attention – services that need specialists who are normally scarce in the rural areas. “The entire population in Rwampara thanks AMDA for this initiative. I have talked to a number of patients who really appreciate this service,” he said. On behalf of the UPDF and other government agencies, Capt. 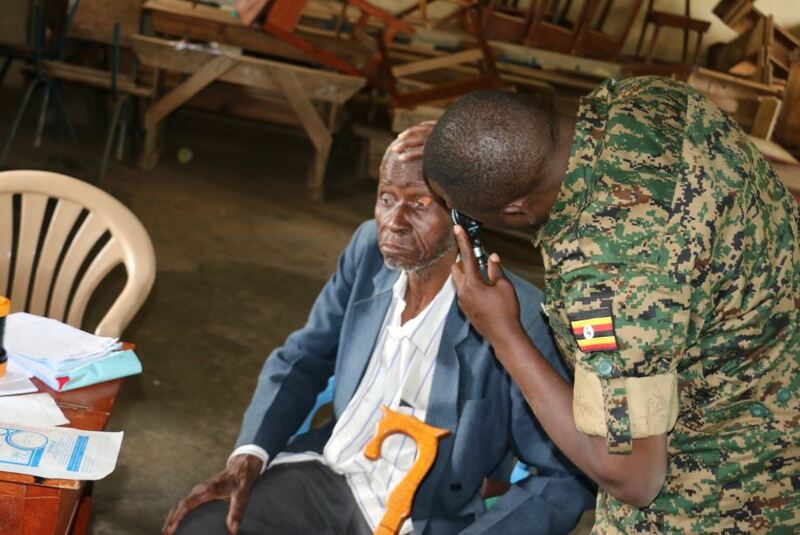 Stephen Akiiki Byaruhanga the army’s 2nd Division spokesperson said the UPDF was happy to provide services to the population through initiatives like the AMDA Medical Camp. “As a people’s army, we are always happy to be part of community development service and our doctors are ready to always participate in such initiatives,” Capt. Akiiki said. 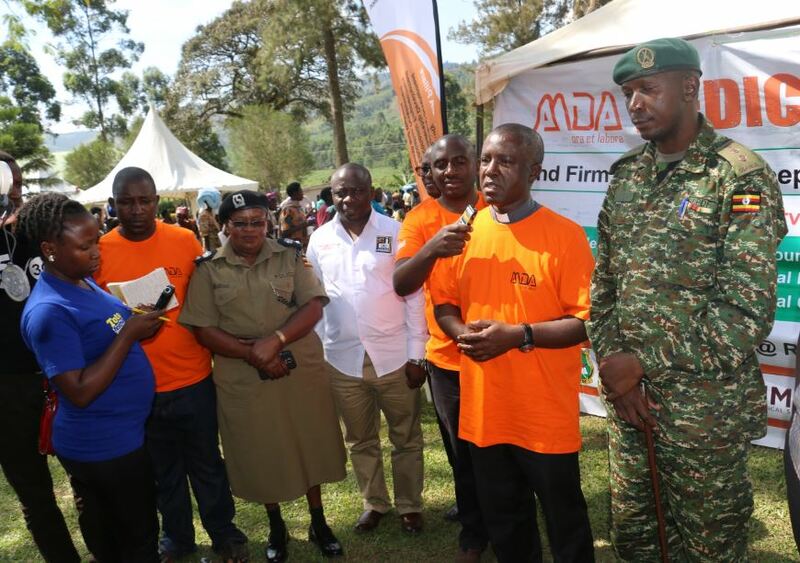 Rwampara MP Mr Charles Ngabirano said his constituents appreciated the initiative by AMDA saying that the association had helped supplement government responsibility to provide health care to the population. “We are aware that sometimes the government systems get challenged and may not provide the suitable services due to small budgets and corruption but I will ask AMDA to give us a report from the evaluation of this medical camp such that through parliamentary follow up, we can push for improvement in those aspects that are lacking,” Mr Ngabirano said. AMDA Chairman Dr. Gaston Ampe thanked all partners including the UPDF, the Uganda Police, National Medical Stores, Joint Medical Stores, Magnus Medicare and Biomedical Supplies Ltd among others for proving supplies and support to AMDA teams which was the source of the impact on the ground. The Medical Camp was part of the Annual AMDA Caravan where Christians go back to the Catholic Archdiocese that covers Ankole and do envagilisation and community development work, including economic empowerment talks, education development discussions, women empowerment seminars, leadership development and legal aide, among others. This year, AMDA visited the parishes of Rwoho and Rushanje, all in Rwampara from Friday ,September 14 to Sunday ,September 16. On Sunday, Mbarara Arcdiocese Auxiliary bishop Lambert Bainomugisha closed the weekend long AMDA Caravan with High Mass at Rushanje Parish. Bishop Lambert thanked AMDA members and its leadership for the great missionary work they are doing back home in the Archdiocese and for putting their faith into action.